VPAR Live Golf Scoring made the cut as one of Wellness 101’s Favorite Things at the 2015 PGA Show! VPAR is the global leader in live golf scoring and the world’s #1 golf app. Our technology is trusted by hundreds of golf clubs and event organizers across five continents. We supply over 850 events each year ranging from Celebrity Tournaments, Charity Golf Events, Club Championships, Corporate Outings, Member Events and Pro-Am Tournaments. The VPAR interactive, game-changing technology provides players with a real time leaderboard on the golf course, in the clubhouse and live online. Capturing all the excitement and adrenaline of the game on easy-to-use handheld scorepads, players can track their progress, follow the competition and see what’s happening elsewhere on the course as the game unfolds. The VPAR system can be fully branded and customized to raise awareness for your clients brand, generate additional revenue for the charity and offer new unique sponsorship opportunities. Feel like the pros, pump up the adrenaline and turn every round into the final round of a professional tournament with: live leaderboards, GPS & course planner, performance tracking and over 30,000 courses worldwide – it is the complete golfing experience. 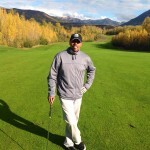 Contact Fred Evanko, VP of Sales for VPAR Live Golf Scoring, at 203-984-4809 or fred@vpar.com.